A multidisciplinary research pool hub online, which develop scientific research through a gamifiedcollaboration process. Mr.Pool Hub is an initiative of the Matrix-Q Research Institute a division of the not profit organization Stichting Luis Daniel Maldonado Fonken, registered in the Netherlands, which is dedicated to multidisciplinary research, innovation, protection and promotion of the body of work (legacy, research) of Luis Daniel Maldonado Fonken (1993-): A nature inspired know how developed based on the study of nature laws, principles, rhythms and cycles, the human potential (human factor, human stages of development) and nature inspired knowledge and technology of ancient cultures and civilizations. The MR Pool Hub started in the year 2017 as a gamified research project proposal launched at the Research Gate (International Online Research Network), and gathered about 300 scientists from several disciplines that according to their time availability and possibilities contribute with publications related directly or indirectly to scientific publications of the Matrix-Q Research Institute (Matrix-Q Research Magazine) which mostly focus on applications of the PTƟ Matrix-Q Know How and Its Standard. The Primordial Technology Theta Multidisciplinary Collaborative Research Pool at Research Gate has since its start close to 8500 reads and 770 followers, 178 updates (At the date of April 11th 2018). 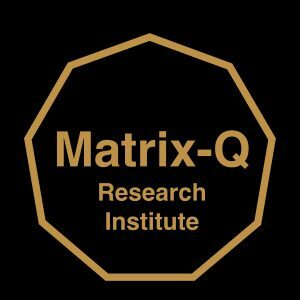 April 11th 2018 the Matrix-Q Research Institute announced at the RG Hub the launch of an online gamified platform dedicated to scientific collaboration and research: Mr. Pool Hub. Scientists are joining the Mr Pool Hub since the date. At the Matrix-Q Research Institute education, self-education, scientific research, innovation comes with a hand with gamification, simulation, gamified development and tests of applications, trials and projects. By utilizing the Matrix 9 Game Generation tool developed by the Matrix-Q Research Institute innovative games are designed and implemented for Mr Pool Hub Researchers to participate and contribute. Scientists that join the MR Pool Hub join a game, in which tasks and assignments are given, batches, points and prizes. The gamified collaborative research process takes place in an online platform, designed for collaboration and network. 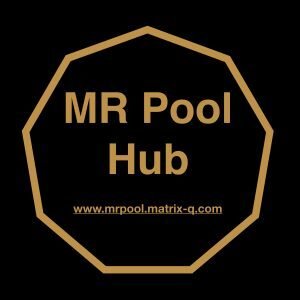 The Mr Pool Hub App, is under development and will in 2018 ready as well.